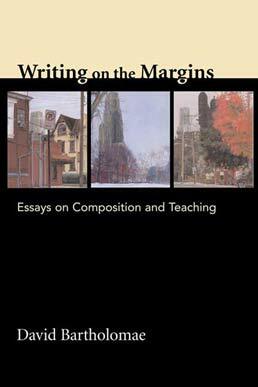 A collection of 21 essays by David Bartholomae — one of the composition community’s most prominent members — Writing on the Margins: Essays on Composition and Teaching includes selections that have helped shape the discipline of composition studies. With Bartholomae’s wide-ranging introduction and three retrospective postscripts to set the essays in context, Writing on the Margins serves as a valuable reference — and as a powerful introduction to crucial issues in the field. What Is Composition and (If You Know What That Is) Why Do We Teach It? DAVID BARTHOLOMAE (Ph.D., Rutgers University) is one of the composition community’s most highly regarded members. Professor of English and the Charles Crow Chair at the University of Pittsburgh, he has published widely on composition, rhetoric, literacy and pedagogy. He is a frequent lecturer to university faculty and writing projects nationwide. 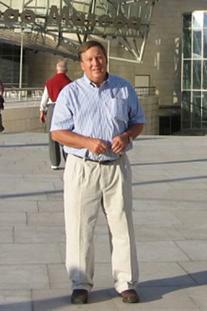 He has served as Chair of CCCC, President of the ADE, and on the MLA Executive Council. His awards include the MLA/ADE Francis A. March Award, the CCCC Exemplar Award, the CCCC Braddock Award, Pennsylvania Professor of the Year (2013), a Fulbright fellowship, and the University of Pittsburgh Chancellor’s Distinguished Teaching Award. With Jean Ferguson Carr, he edits the University of Pittsburgh Series, Composition, Literacy and Culture. His collection of essays, Writing on the Margins: Essays on Composition and Teaching (Bedford/St. Martin’s) won the 2005 MLA Mina Shaughnessy Award. After stepping down as English department chair in 2009, he has been deeply involved with Pitt’s program for Study Abroad.